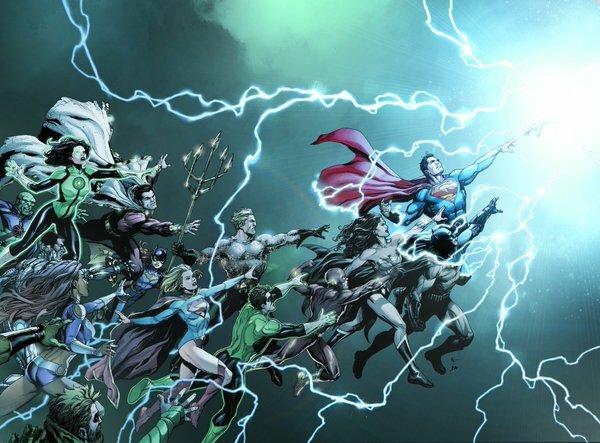 The (latest) reboot of DC’s universe, called Rebirth, is designed to gear their comics more towards their new cinematic universe. It was only a few years ago that we rode the emotional rollercoaster of the New 52 relaunch, so most DC fans have been waiting for details with great anticipation. Finally the time for answers came at WonderCon this last weekend. SHE GOT THE DREAM TEAM!!! I am so excited! Veteran artist Nicola Scott will be returning to draw the Amazon Princess. You may have heard my squee of joy all the way from WonderCon at this news, because I’m a HUGE fan of her work. Her Diana is athletic, capable, beautiful, and expressive. Scott’s panels show a woman who can comfort a child in one moment and then go toe-to-toe with Superman the next. It’s a challenging task and Scott has proven herself many times over with her work on Wonder Woman, Secret Six, Birds of Prey, and Earth 2. She has also successfully partnered with Greg Rucka on Blackest Night: Wonder Woman, and Black Magick #1 by Image Comics. They both seem to have a talent for creating strong female characters, and I can’t wait to see how their partnership works on a longer run of Wonder Woman. Liam Sharpe will be partnering with Scott to bring Diana’s image to life on the page. His resume is Marvel-heavy, but he has done work for DC with both Superman and Batman. 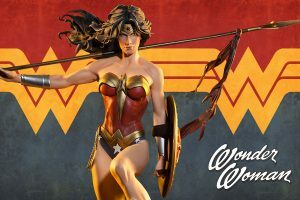 He isn’t an artist that I’ve followed before, but when I saw the images he created for Wonder Woman I was blown away. His art reflects the iconic images from George Perez’ run of the Amazon princess but with a more modern style. I love that he draws Diana in a way that exudes confidence and strength. 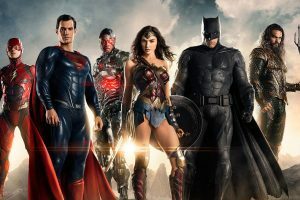 This team will be taking a unique approach to Wonder Woman with two storylines running simultaneously. Odd-numbered issues will be done by Rucka and Sharpe, and will tell the adventures of Diana in the present day. 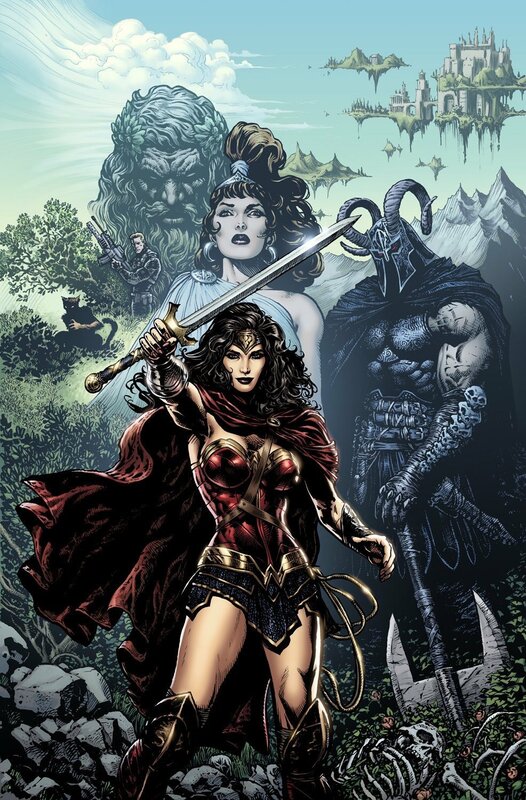 The even-numbered issues will be created by Rucka and Scott and will describe Wonder Woman’s origins approximately ten years in the past. Two Wonder Woman comics will come out a month, one from each timeline. 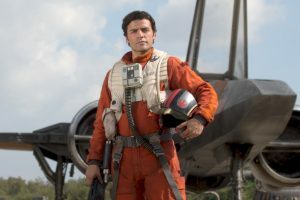 Rucka reportedly has plans for at least 24 issues, so we should be able to enjoy his work for at least the next year. After the disappointment of Meredith and David Finch’s takeover of the series, it’s good to know that Diana will be in trusted hands. This is awesome! 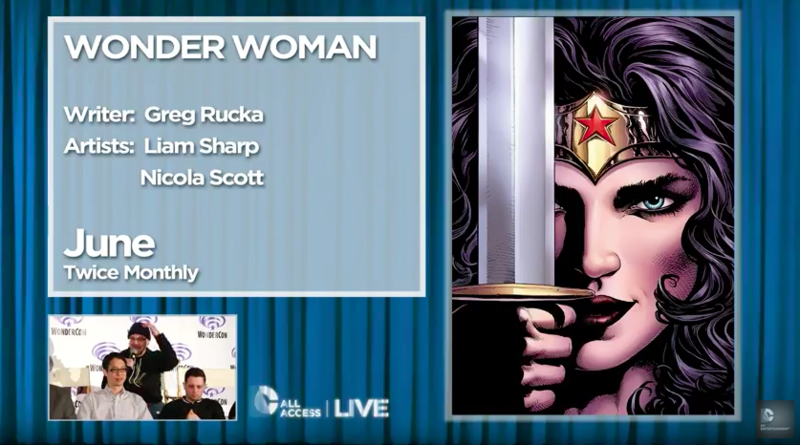 Rucka and Scott are two of my favorite WW creators. However it seems odd that they will be doing one title with two separate storylines. I would think it would be easier to have Wonder Woman and Sensation Comics running side by side. But DC has not made sense since Dan Didio took charge. I wonder if they will bring back Isis? She would be a great character with a Wonder Woman vibe.